Consoles will be free-to-play if the PC version is successful. 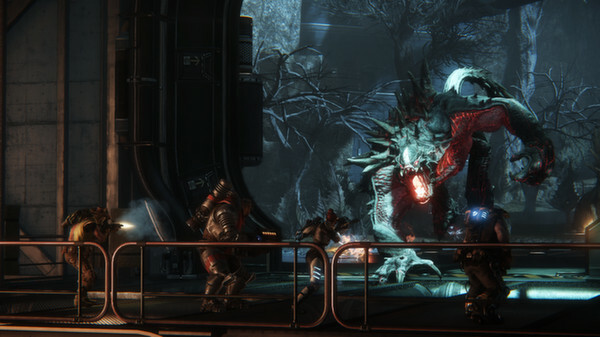 Evolve, the four-versus-one first-person shooter from 2K Games and Turtle Rock Studios, will go free-to-play on PC as a beta starting tomorrow, July 7, the developer announced. “Should it prove successful,” the intent is also to make it free-to-play on consoles. Hunter class reworkings to make the team less reliant on having experienced trappers and medics. Improvements to the maps and UI. Improving load times, overall performance, and getting into the game faster. Improving stability and fixing bugs. Completely reworking progression system and tutorials. Read more about tomorrow’s free-to-play release here.